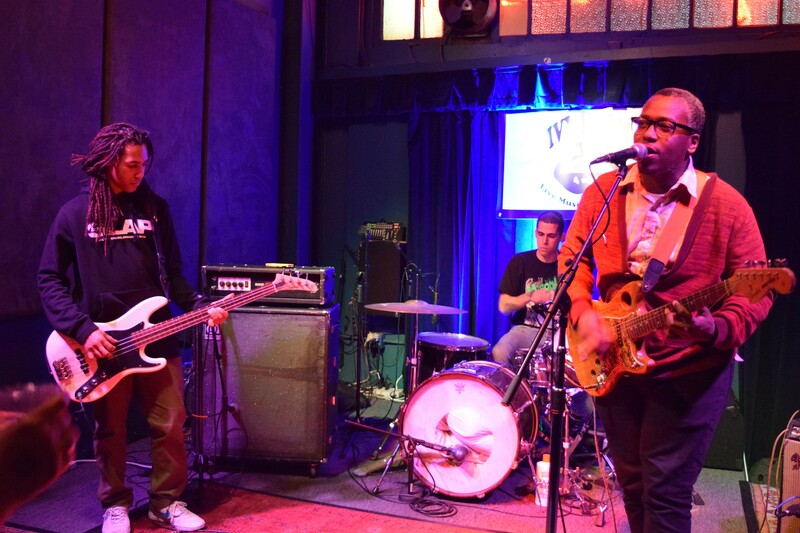 Brontez Purnell and The Younger Lovers performed at the Ivy Room on Friday night. accepting drink after drink from the crowd, and making fun of himself for forgetting the chords to songs, he turned the ordinarily white and male-dominated space of punk music into something lighthearted and inclusive. Growing up Black and gay in small-town Alabama, Purnell found a community in the riot grrrl scene, playing in punk bands and writing a humorous 'zine about his sexual experiences called Fag School. He eventually moved to Oakland, earning a reputation for his outrageous stage presence in queer electro band Gravy Train!!!! before starting The Younger Lovers in 2003. Since then, the band has developed its sound, Purnell’s loose drawl racing over straightforward guitar chords in a style that pays homage to surf, punk, and soul. If you listen closely to the slurred-together lines, you’ll be charmed by grimly funny relationship tales and other escapades — stories that were surely tragic at the time, but become entertaining through a bitingly good sense of humor. Upbeat and concise, most songs are punk through and through, clocking in at two minutes or under. minutes later, the band was already almost halfway through its setlist, playing “Tight Fade,” a relatable song about getting a haircut as an attempt to fix your life: “Something had to change so I cut my hair/I had to rearrange so I cut my hair,” Purnell sang. White rocker boys could stand to learn a thing or two about punk music from Purnell.